Celebrated for his studio portraiture in the 1950s, Bamako’s most prominent photographer mastered the elements of style. This spring, Paris pays tribute to Seydou Keïta, a pioneering figure in West African and international photography. 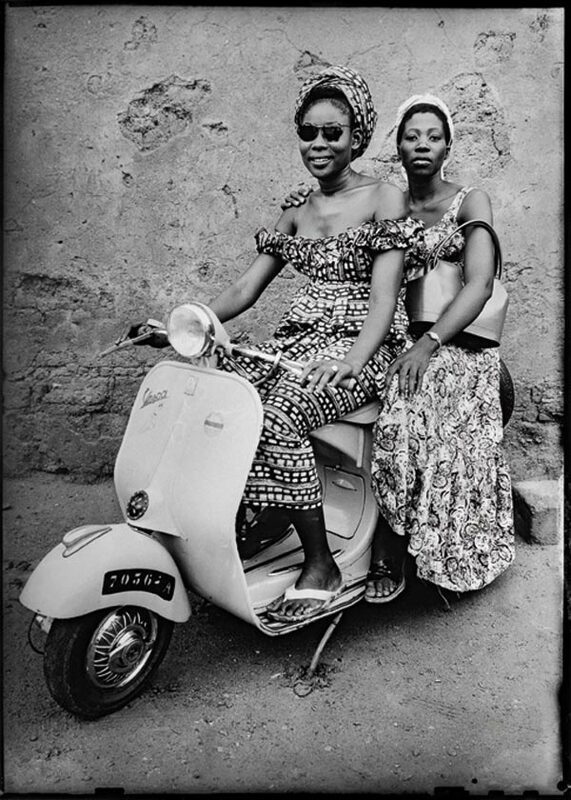 Along with Malick Sidibé, J.D. ’Okhai Ojeikere, Jean Depara, Philippe Koudjina, and many others, Keïta embodies the foundations of portrait photography in Africa. He belongs to the family of twentieth-century masters of photography, along with August Sander, Diane Arbus, Richard Avedon, and Helen Levitt. Even though his work has been included, since the 1990s, in major surveys connected to photography or African art at large, the Grand Palais currently presents his second Parisian retrospective exhibition. Organized by Yves Aupetitallot, the selection of works comes primarily from the Contemporary African Art Collection, as well as from the personal collection of André Magnin. By making the choice to exhibit both original vintage photographs and larger prints, the exhibition underlines the memorial dimension of an oeuvre both personal and collective. For Keïta, a self-taught artist, portraiture became a passion. Born in 1921, he worked independently in his studio between 1948 and 1963, photographing all of Bamako with great inventiveness. (From 1963 to 1977, he was requisitioned by the Republic of Mali as an official photographer.) “Having your portrait taken was a big deal, it was really important to give the best possible image of each person,” Keïta stated in 1997. “Often they took on a serious air, but I think it was probably because they were intimidated—it was new.” The result, across thousands of portraits, reflects careful staging with various elements: the decor is set thanks to the arrangement of wax fabrics, hung, folded, or draped. Their motifs participate actively in the image composition. The poses were meant to define the sitter—nothing was left to chance. As odalisques, standing, hieratic, sitting, three-quarter length, on a scooter, the poses are taken from paintings and engravings or cinema. At the center of this exhibition are black-and-white portraits of women, men, couples, and families, forming a gallery where characters of competing elegance parade in front of our eyes. Large-format prints give way to the smaller, vintage images, which generate more intimate and precious relations. The subjects stare us in the eye and draw us in. Through these images, the face of a society that has been independent since 1960 is forged. They reflect dynamism, emancipation, and claims to identity. The clothes, accessories, and objects give a personal, and even intimate, dimension to the portraits. They account for a personality, a group, who they are and how they want to be seen. During colonization, photography was anthropometric; it was used to identify, classify, and sometimes humiliate the colonized peoples. Individuals were reduced to being objects of study, even sometimes photographed frontally in the most neutral manner. Keïta’s portraits have managed to free themselves from racist stereotypes, returning beauty and individual personality to Malian people. These photographs constitute a visual heritage imbued with great personal and collective wealth. 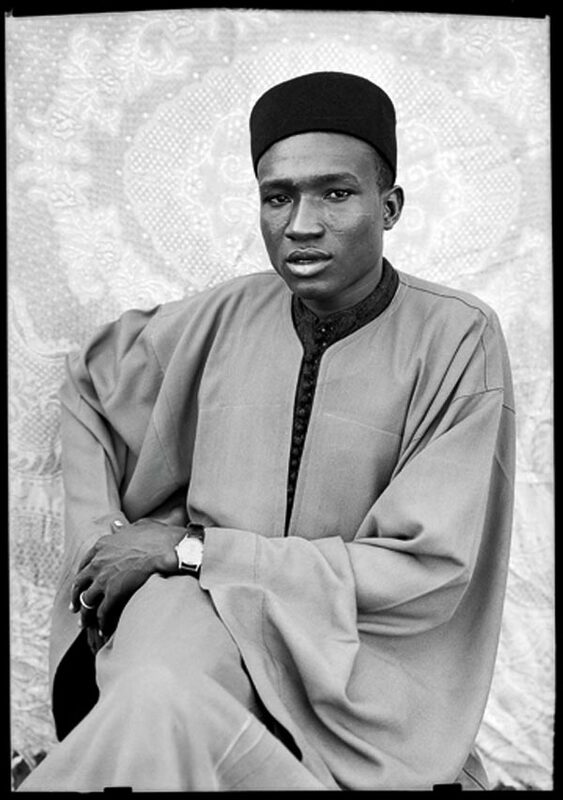 Keïta’s portraiture has had an immeasurable influence not only on African photography, but throughout the world. Following Keïta’s heritage and his will to return a form of dignity to the subject in the image are artists such as Zanele Muholi, who presents the face of black LGBT citizens, often subjected to outrageous violence, and Leila Alaoui, the Franco-Moroccan photographer who died as a victim of a terrorist attack in Ouagadougou in January, and whose series The Moroccans, begun in 2011, allowed for the meeting of different tribes and generations that make up the Moroccan identity. Rather like in Keïta’s work, a critical and even political dimension can be found in the adornment of fabrics, play of traditional and modern clothing, ornamentation, and highly designed staging in the work of Samuel Fosso, Omar Victor Diop, Kehinde Wiley, and Baudouin Mouanda. There are countless others. As a consequence, this exhibition on Seydou Keïta instills the decisive legacy of his work and showcases the commitment of the next generation of artists on the African continent and in the diaspora. Julie Crenn is an art critic and curator based in Paris. Translated from the French by Caroline Hancock. Seydou Keïta is on view at the Grand Palais, Paris, through July 11, 2016.